Here are all three - Tamiya 1:48, Airfix 1:72 and Mark 1 Models 1:144th. They make a nice set. I always notice a problem afterwards! I now see that I haven't taken the masking tape off landing light on the port wing of the 1:48th version! Now that I have all three, I can see the differences. I "almost" wish that I could start again. I know a few things now that I didn't then but I can live with how they are. You can see a screen show by clicking on any one of the images. I had most of today to tidy up the work on the 1:48th Beaufighter. I have to say that I have enjoyed this build. Everything goes together perfectly. The decals went down very easily except for the "L" on the squadron code. On one side it broke into three but went back together without any issues. I had to drill a small hole in the top of the rudder to fit a tiny metal pin. This holds the rear end of the radio aerial wire - made from my usual Aeroclub "stretchy thread"
The Eduard masking worked fine although it needed a bit of working out so see how it fitted. The decals were ideal. 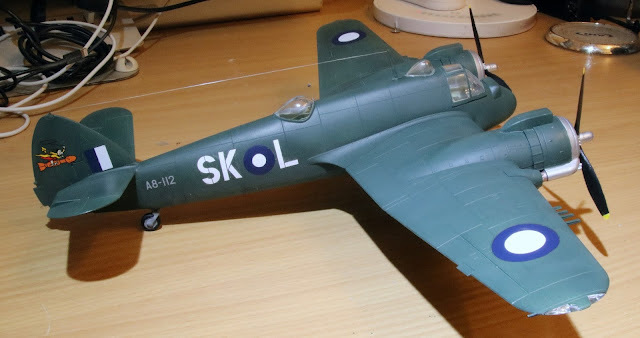 I did have to sort out some alternate parts in the kit which Tamiya would have you leave off but some careful checking proved that some of the alternates were needed - the navigation dome and the auto-pilot, for instance. I also had to check which tail wheel to fit. Problems? Always! 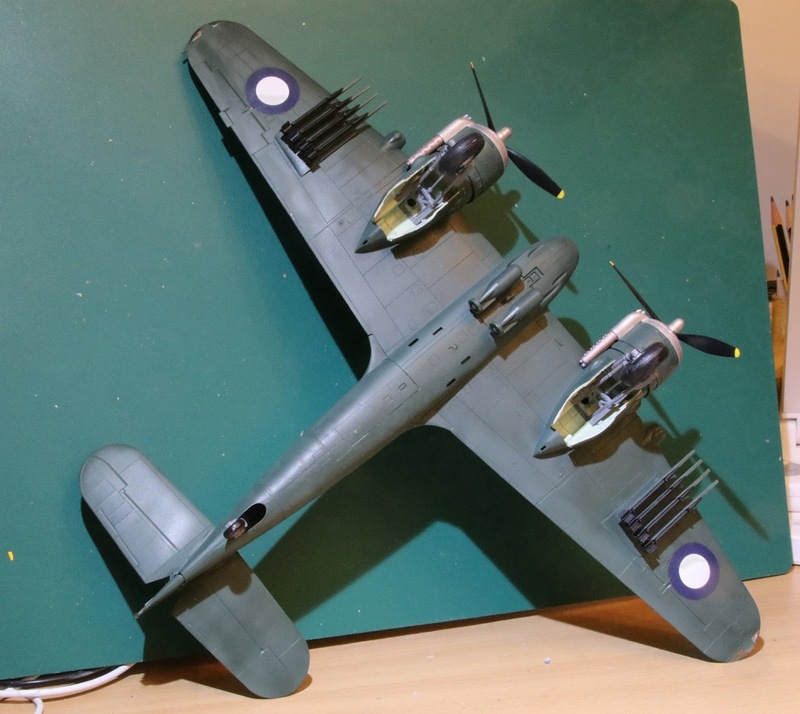 I thought, after checking, that I didn't have to open up any holes in the underside of the wings or the fuselage when it cam to fitting rockets and bombs but, of course, I found out that I should have done some drilling. As it happened, I could sand the pins off and flat mount everything. It was obvious where they had to go. 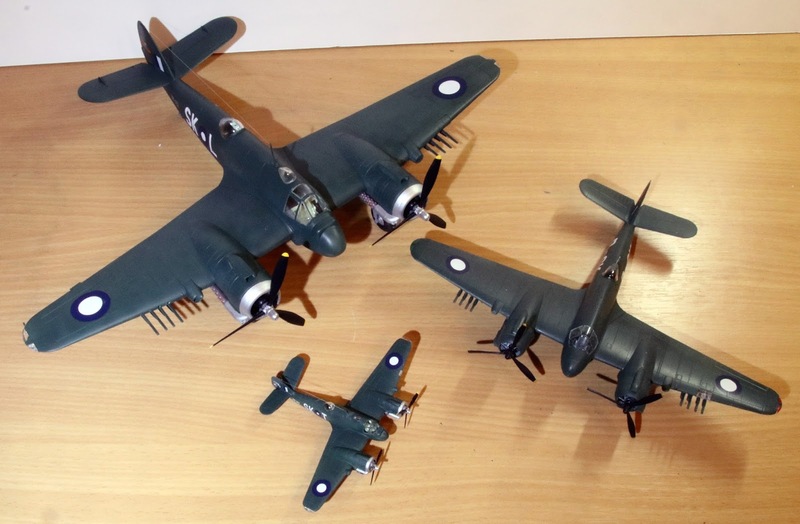 One good story about the Aussie Beaufighters is about AB-122, which is the subject of my 1:72 Beaufighter. The web site ADF Serials has this to say: "07/08/45 flown by SQNLDR Gulliver and was the first of eight 93 Sqn Beaufighters to attack 'Japanese' oil tanker with rockets at Tabuan River Sarawak. Post war it was discovered the sunk ship was the 'Mia Moana', the private yacht of the Rajah of Sarawak!" You have to love stories like that! Well, that is it. I have finished my RAAF run. My next posting will show all three of the models together. 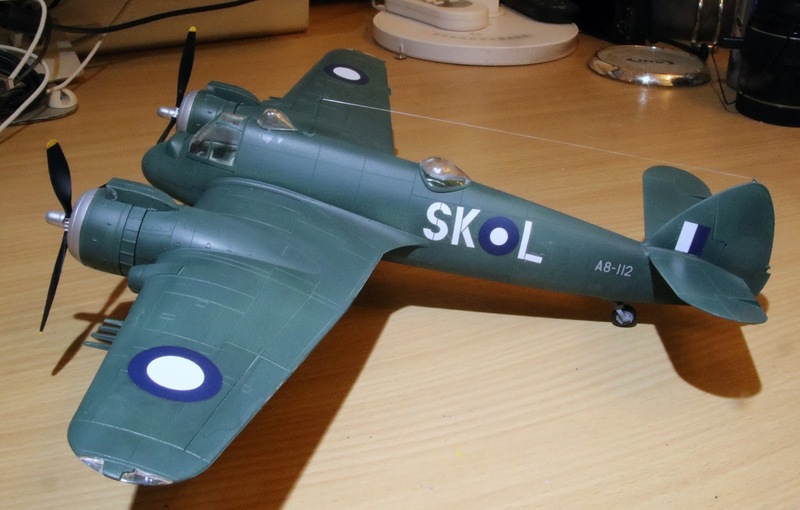 My next build will be a Banff Strike Wing "TorBeau", which comes "as is" in the latest Airfix boxing. The box art is fantastic. Here are the images of the complete Tamiya 1:48th Beau. As ever, you can click on any image and get a nice slideshow.